The screws usually come out of the wood joint simply because the wood fibers are not strong enough to hold the screw thread. The way the threads wedges itself onto the wood fibers provides strength to the screwed joints. And if due to any stress the wood fibers tear up resulting in a failed joint. All this are visible in the place where there is a constant movement or due to the excessive pressure on that particular point. Such loosening of the screw may take place anywhere but it is most common in entry doors, cabinet doors, chest lids and the place which receives a lot of movement. In the market, you will find a lot of option. There are different manufacturers providing you with the same screw repair kit with a little bit of modification. The main components of these kits are a basic plastic anchor and industrial glue which are known for its adhesive power. With the help of the glue, an anchor is fixed inside the hole of the screw. This gives the surface to the threads of the screw to get a good grip while you place it inside. These kits cannot be widely used as it is meant for the simple application. Honestly, it is quite an expensive solution. Whenever you face such stuff you need to go for a screw which is either larger in diameter or has a longer tail. If you can use a screw that has both the property it is highly appreciable. The threads of the new one must be steeper. 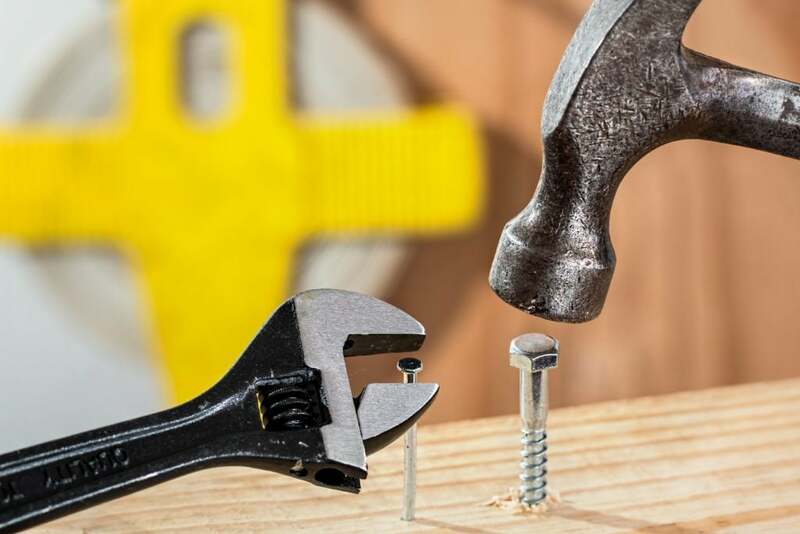 While driving the new screw into wood, keep in mind that it shouldn’t be large enough to split the wood. Choose the new screw which is hardly two to three gauge sizes more though it completely depends on the place you are working on. Once a hole is made there is no need to put much pressure so with a lack of force drive the screw in or it may strip the new screw too. For the instant work and the material is made up of softwoods, take a few wooden matchsticks and cut the head or you can take up some of the toothpicks made up of wood and place it into the hole. For the providing, a better strength fills the glue into the hole through it is completely upon you. The width of the sticks must be enough so that it does not come out while driving it within the hole. Do smoothen the surface before you start to drive the screw back to its place. A.Take thin slices or the shavings of the wood that belong to the same species in which you are working on. Use the wood glue and place those strips into the area, with the help of the hammer tap the heads to fill the hole. Leave it for hours until it dries. Trim it off if you find they are coming out of the area, use sand if it is required. With the help of the drill make a small hole in the wood. Drive the original screw in it. It is advisable not to use a different kind of wood to fill up the holes as it may arouse a different kind of problems. So go for the same type of wood as filler.